Its June, time for the Internet Trends update by Mary Meeker, KPCB. Last year's update has crossed 3 million views on Slideshare. So many interesting slides, difficult to pick up some of the best ones to add here. I have selected a few that I really liked. 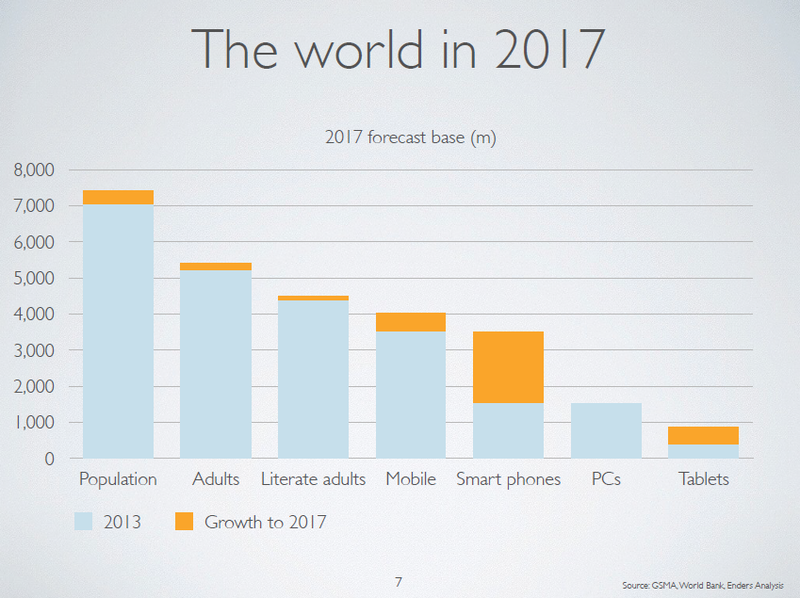 The first being the growth in Smartphones and Tablets, as compared to PC's and Television's. 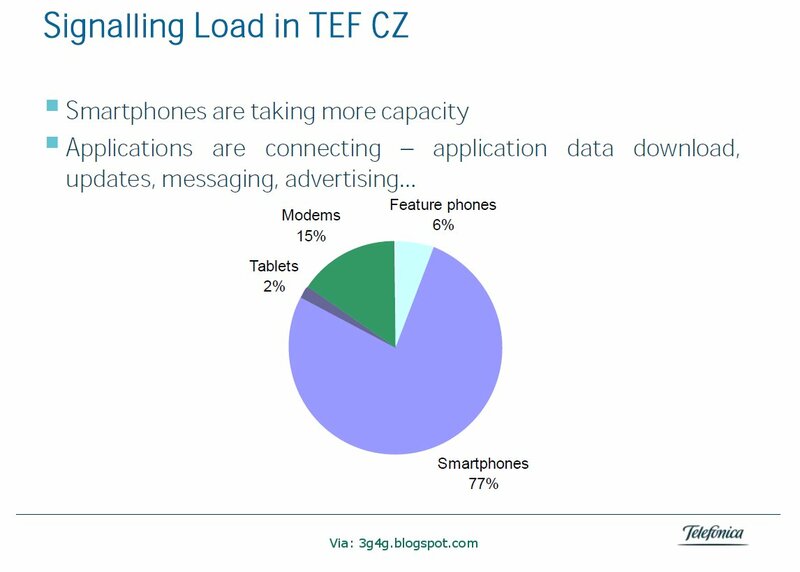 The other very interesting point to highlight is that the number of SMS's are decreasing and the number of OTT messages are rising. Just two days back, BITKOM, Germany released the news that SMS's are declining drastically in Germany. OTT's are taking over, rightly so. Finally, with people doing too much multi-tasking, the above slide highlights what people are doing while watching TV. "Google is a vast machine learning engine... and it spent 10-15 years building that learning engine and feeding it data"
So true. It is not Apple vs Google; it is not about the present. It is about the future (see Google's recent acquisitions for context). As Benedict says, if Google creates beautiful, meaningful and unique experiences for users, why would they do it only for Android, they would also have it on Apple devices. A new report "Mobile Developer Economics 2010 and Beyond", offers many new insights into mobile developer mindshare, and analysis into every touch point of the developer journey, from platform selection to monetisation. The research is based on a set of benchmarks and a survey across 400+ developers globally, segmented into 8 major platforms: iOS (iPhone), Android, Symbian, BlackBerry, Java ME, Windows Phone, Flash Lite, and mobile web. In terms of developer mindshare, our research shows that Symbian and Java ME, which dominated the developer mindshare pool until 2008, have been superceded by the Android and iPhone platforms. Despite Symbian remaining in the pole position in terms of smartphone market penetration, ‘out-shipping’ iPhone 4 to 1 and Android many-times to 1, the signs of dissatisfaction with the way the Symbian platform has evolved have long been evident. Indeed Android stands out as the top platform according to developer experience, with close to 60 percent of developers having recently developed on Android, assuming an equal number of developers with experience on each of eight major platforms. iOS (iPhone) follows closely as the next most popular platform, outranking both Symbian and Java ME, which until 2008 were in pole position. View more documents from Zahid Ghadialy. Interesting analysis by Zigurd Mednieks on his blog 4thscreen. Though not directly linked to mobiles, I am sure a similar approach is being taken for mobiles. Google applications: Web applications run in browsers, on all kinds of systems. No need to be installed or updated, and hard to block. Anyone with IE, Firefox, Safari, Opera, or, of course, Chrome has access to all the latest applications. Gears: Web applications run in a sandbox and don't have much access to your system. Gears enables more access. Applications are still in a sandbox, but the Gears-enabled sandbox is bigger, and can persist. This frees Web applications from having to be connected all the time. Chrome Frame: Chrome Frame puts the Chrome browser inside Internet Explorer. This shows the lengths Google will go to in order to give Google applications the best possible runtime environment is as many situations as possible. Android: Android is a Linux-based OS for mobile handsets and other devices. Android has exploded in popularity among handset manufacturers. This is Google's first win in computing platforms, and Google influences the software “stack” all the way down to the hardware. Android has a Webkit-derived browser. Chrome OS: Chrome OS is meant for things larger than handsets. Chrome will be Google's attempt to bring a Linux-based OS and Web-based applications to netbooks and PCs. Google's strategy is comprehensive: Control the software all the way down to the hardware where possible, and, if that isn't possible, be compatible, and maximize capabilities, on every possible platform. Google's strategy is also technologically coherent: Java, Linux, Webkit, SQLite, Eclipse, and other common components are reused across multiple Google products and platforms. 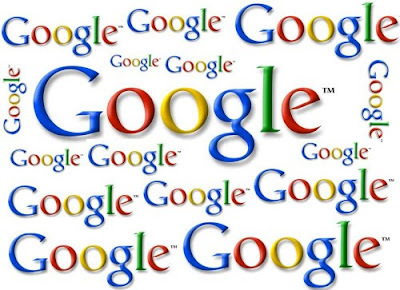 You can expect Google to contribute to and influence the development of these key ingredients. You can also see some design philosophy in common across Google products. 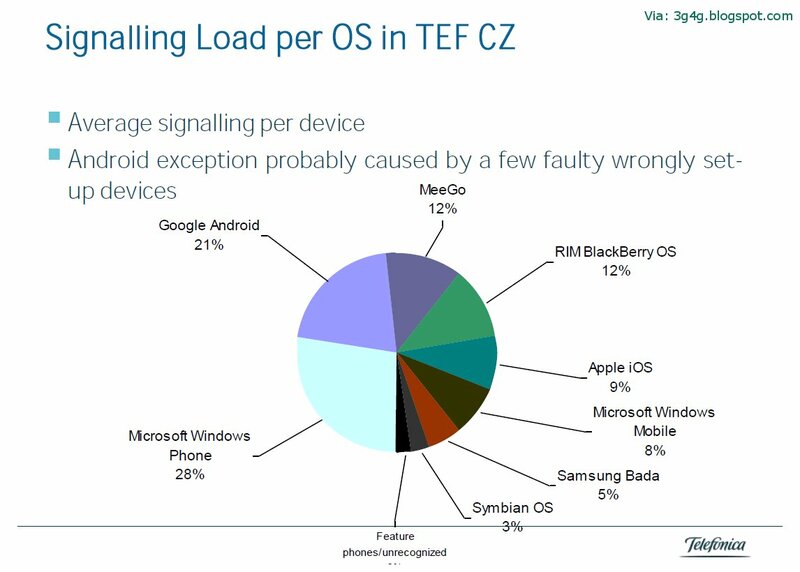 For example, Android runs Java applications in multiple tasks, and Chrome runs Web pages/apps in multiple tasks to make these systems resilient to apps that crash. While Google's applications, like Gmail, are proprietary, Android, Chrome, Gears, GWT and many other components of Google's strategy are open source software, many with permissive licensing that would not preclude competitors from using them. Open source builds confidence in Google's partners and in software developers using Google platforms. Google's strategy has formed recently and moved quickly. It can be hard to perceive the impact. As fast as Google is implementing this strategy, you can expect a similarly fast emergence of an application ecosystem around Google's strategy. This will be one of the most significant developments in software in the coming years. Meanwhile google has recently added search options to mobiles. You can now search only forums and you can search for posts that were posted within last week. Very powerful feature but shame so many PC users dont even know hot to use them. Another very interesting feature that has been added is that when you search using desktop, you will be able to see that in your search history in mobiles as well. Google now synchs between your desktop and mobile as long as you have iPhone, Android or Palm phone. I wonder how will Google surprise us next. In the past year or so Android has shown its credentials and it can be said we are going to see lots of devices based on Android as a platform. If I don’t want to be too pedantic then Android is a software platform for mobile devices, powered by the Linux kernel, initially developed by Google and later the Open Handset Alliance. It allows developers to write managed code in the Java language, controlling the device via Google-developed Java libraries. Applications written in C and other languages can be compiled to ARM native code and run, but this development path is not officially supported by Google. 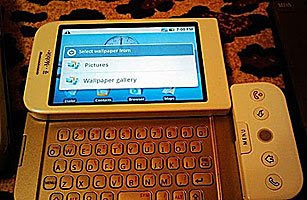 Android platform was first unveiled on 5 November 2007 in conjunction with the announcement of the founding of the Open Handset Alliance, a consortium of 48 hardware, software, and telecom companies devoted to advancing open standards for mobile devices. 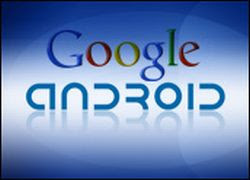 Google released most of the Android code under the Apache license, a free-software and open source license. Since the above has taken place a lot has been developed on Android platform in terms of notebooks and mobile phones. For instance recently Acer said it will produce netbooks based on Google's Android platform. Undoubtedly Android will contribute "significantly" to the growth of the global netbook market just like it will for the Smartphones. The company also revealed that its first Android-based handset would be available in the fourth quarter. Acer had confirmed it would produce an Android phone this year, but had not given a specific time frame. In other Android news, Garmin-Asus, the smartphone partnership announced in February, said it would produce its first Android phone no later than the first quarter of 2010. Based on the above developments together with some other, Google’s bullishness is increasingly becoming evident about the growth prospects for Android. Google envisage that that by the end of the year there will be at least 18 handsets on the market running on Android. According to Google this number does not include handset makers using the basic version of Android that have not notified Google of their plans. Handset manufacturers that have committed to producing Android phones this year include Acer, HTC, Huawei, LG, Motorola and Samsung. Indeed, the ramping-up of Android phones intensifies a battle among some of the world’s biggest software companies to create the operating system for the world’s phones. Android goes up against a coming-soon new version of Microsoft’s mobile version of Windows; Apple’s proprietary iPhone system; the BlackBerry platform; a new Palm OS for its Pre, called WebOS; Symbian (mostly proferred by Nokia); and a host of Linux-based systems. Googles Android has certainly added to the competition which is good for the customers but indeed has given sleepless nights to the likes of Microsoft, Nokia etc. Android has unquestionably won accolades as new alternative software for smartphone makers. The first Smartphones with Android on board came out in the United States late last year, and they were made by Taiwan's High Tech Computer (HTC). I guess the future of application development is going to get even more interesting. 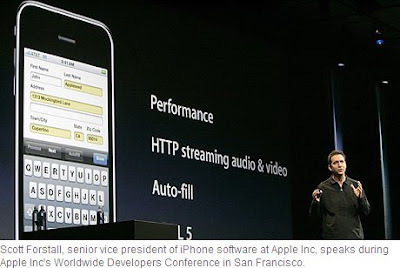 Though Steve Jobs was not there, the new iPhone 3G (S) went on display at the Apple's World Wide Developers Conference in San Francisco on June 8. The 'S' stands for speed. The new improved iPhone 3G (S) helps you download Web pages in a fraction of the time, and you can view email attachments faster. Improved performance and updated 3D graphics deliver an incredible gaming experience, too. The new phone can also capture video and boasts an improved capability for taking still pictures. The iPhone 3G S will hit the market on June 19. After a string of successes with the iPod and iPhone, Apple is hoping it can keep wowing shoppers with this latest version of its popular mobile handset. The iPhone 3GS will sport a number of upgrades from its predecessors – including a doubled capacity of 32GB; a digital compass; and the ability to record videos. The larger memory will allow iPhone owners to store up to 7,000 songs or 40 hours of video on their handsets, which they can now download directly from the iTunes store. Below is the summary of some of the features of this latest iPhone. 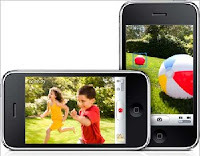 You can shoot video, edit it, and share it - all on your iPhone 3G S. Shoot high-quality VGA video in portrait or landscape. Trim your footage by adjusting start and end points. Then share your video in an email. The new 3-megapixel camera takes great still photos, too, thanks to built-in auto focus and a handy new feature that lets you tap the display to focus on anything (or anyone) you want. 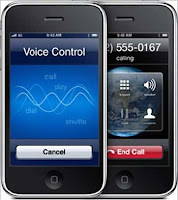 Voice Control recognises the names in your 'contacts' and knows the music on your iPod. So if you want to place a call or play a song, all you have to do is ask. With a built-in digital compass, iPhone 3G S can point the way. Use the new Compass app, or watch as it automatically reorients maps to match the direction you're facing. Want more room to type on the intelligent software keyboard? Rotate iPhone to landscape to use a larger keyboard in mail, messages and notes. Find what you're looking for across your iPhone, all from one convenient place. Spotlight searches all your contacts, email, calendars, and notes, as well as everything in your iPod. 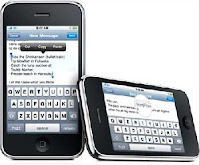 iPhone 3G S offers accessibility features to assist users who are visually or hearing impaired. These features include the VoiceOver screen reader, a Zoom feature, White on Black display options, Mono Audio, and more. Watch YouTube videos wherever you are. Log in to your YouTube account to save and sync bookmarks and rate your favourites. Back in Feb, I blogged about Google's Android that was being shown off in MWC 08. Now its turned up in Dream. By that I mean HTC dream. People are anxious to get their hands on the phone and are waiting for it to be launched in UK so they can do some more analysis on that. For the time being its going to be available only in the USA. Its going to be launched tomorrow. Apple has officially kicked two popular apps out of its App Store over the past days. Podcaster, a program that lets you circumvent iTunes to directly download podcasts, found out it was getting the "REJECTED" stamp just before the weekend. Now, the makers of the popular tethering tool NetShare are sharing a similar plight. NetShare disappeared without notice in August. Its creators now say they've finally been told they too are banned for good. Will accelerate the process of gradual devolution of carriers to open, dumb pipes. The second-generation Android phone will be manufactured directly by Google instead of third-party manufacturers. With the help of a Google engineer, we were able to descend to the forty-second sub-basement in the Googleplex to their hardware labs for an unauthorized sneak peek. The phone will harness the computing power of every Google datacenter in a single handset. It'll be like having the brain the size of an entire planet in your hand," said one Google engineer who wished to remain anonymous. One issue designers have been facing is to find enough for the phone to do so it doesn't get bored. "We have it compiling kernels, factoring primes and monitoring calls for the NSA, but after about thirty minutes of doing that the phone lets out an audible yawn and shuts itself off," said our source. The phone is unsurprisingly called Gphone. Other rumors include Google's design to take over the enterprise market since more and more people are moving away from Laptops to Smart Phones. Unofficial Pics of LG's KC910 has also surfaced. The phone is also rumored to contain Android. 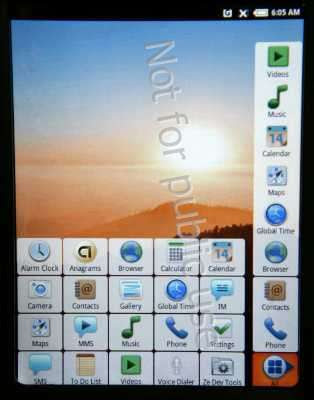 Some people are even suggesting Sony Ericsson is going to launch Xperia with Android. The prediction right now is that Android will capture 4% of market share in Q4 which is around 400,000 of the 10.5 million overall smartphones. If Android delivers the trademark Google quality, the figure may be higher. Why is everyone talking of Gooogle Android? It seems everyone is eager to show their own take on the first official Google Android phones at MWC. ARM, Texas Instruments, Marvell and Qualcomm are just a few of the companies hoping to impress with their Android handsets. Google launched Android, an open development platform in November. Phones sporting the Android software are expected out later this year. Google also announced the Open Handset Alliance, a consortium of 34 handset manufacturers, carriers and chipmakers that have said they plan to support Android products and services. Google hopes Android will become the dominant operating system for many mobile phones. Android is set to improve the Internet for phone users. "What's the big deal? Android doesn't look like it enables anything different from what everyone else offers." But James Bruce, North American mobile manager for marketing at ARM, said that it's not so much what Android allows cell phone users to do, but rather what it doesn't require handset chip and device makers to do. "Android provides a complete application framework, which can be put on chipsets with a lot less work," he said. In a nutshell, Android should simplify the process of getting a new phone and new applications to market. Today, the cell phone market is extremely fragmented. Every manufacturer has its own operating system for phones. And very often even different models of handsets are developed using proprietary software. This makes it difficult for handset components makers, application developers, and the handset makers themselves to develop new products and services quickly because they have to design functionality for each software iteration. Even the most basic functions like SMS could require different programming from one brand of handset to another. Android is supposed to alleviate this problem, because it provides a common operating system and development platform that has all the basic functionality baked in. But the software, which is based on a version of Linux, is also open enough to allow application developers to design new applications and services for the device. To learn more about Android, check this out.